I have never heard of this movie. Looking forward to it. I thought it had been done already, was it not suppose to be Jamon Jamon lol? Anyways, Tampopo is AMAZING. 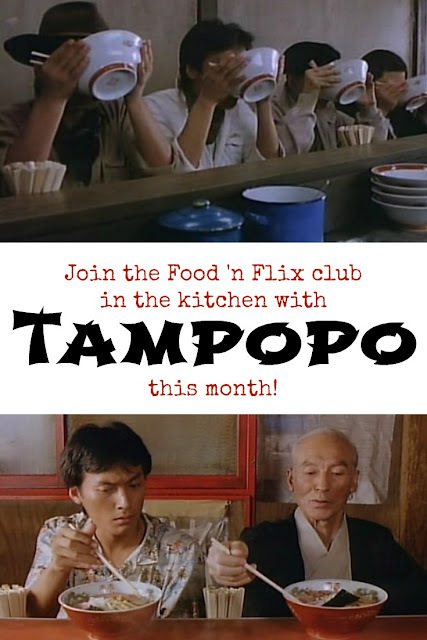 No, Tampopo hasn't been done already. I had originally chosen Jamon, Jamon, but made an announcement on the F'nF Facebook page towards the end of March that I changed it as a heads-up. Apparently it's hard to find a dvd copy that has subtitles and I want to make it as easy as possible for people to participate.